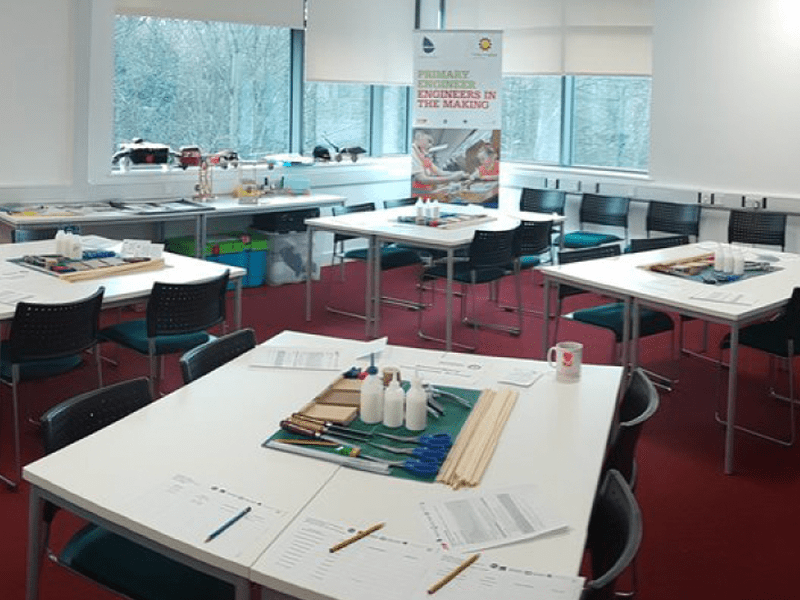 On 28th February the training team visited the newly completed engineering facilities at Kirklees College in Huddersfield to deliver our Fluid Power Challenge training course. The training begins with outlining the scope of the design and make challenge which is aimed at children in KS3 at Y8/9. The project sees the Science, Maths and Technology departments working together to build a machine powered by hydraulics to perform a lifting, moving and lowering task. Pupils are also asked to create a portfolio of work outlining the STEM knowledge they have used in the design and construction. Eight schools and twelve teachers attended the course and there was an excellent range of designs produced as the schools began to get a little competitive. There were four engineers on call as well to assist the design and manufacture as and when needed. They were kept busy! The training coincided with the visit to the College of the IMechE Chairman Jon Hilton. We were fortunate to be included on his tour of the facilities and happy that he spent an hour talking to the teachers and the Primary Engineer staff. He also had the opportunity to look at some of our past Leaders Award winning entries and review the practical models built on some of our other programmes. Before he departed to continue his tour, Primary Engineer Founder and CEO Dr Susan Scurlock presented him with his Honorary Membership certificate of the Institution of Primary Engineers.